We are pleased to open registrations for this fall’s Astronomi-con Toronto event! Our event format has changed from previous years, to a more narrative themed event. Event details can be found under the Event Rules menu section of the website. Our schedule for the weekend also has changed so be sure to check that as well to help plan your Astro weekend. We will be contacting all registered players for some additional information about their armies for narrative purposes, so be sure to provide a contact e-mail address when registering in the Special Instructions section if your preferred e-mail address for correspondence is different than that of the PayPal account you registered with! Thanks to everyone that participated and supported this year’s event! 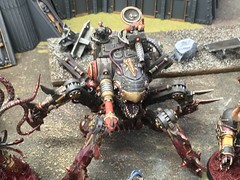 It was a great weekend of enjoying our great hobby. Special thanks go to Nick Itsou for all of his assistance in coordinating the setup and tear-down of the venue. Additional thanks go to all that sponsored terrain tables. Sharing your personal terrain collection in support of the event is most appreciated. 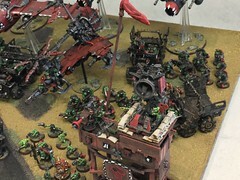 This year’s event had the most Best Terrain entries in the history of Astronomi-con. We expect that this trend will continue and look forward to seeing what you all come up with in the future! 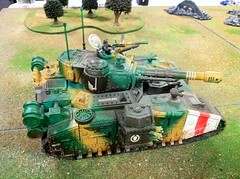 A big thank you also to Dominic Manchisi for housing our terrain depot collection. 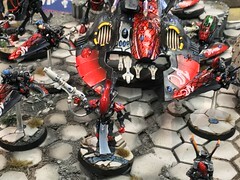 Phoenix Games was once again a great supporter of this year’s event, offering up terrain and table toppers. We thank Bill for his ongoing generous support of our event, and hope you get a chance to visit his store in Kitchener and mention the event. 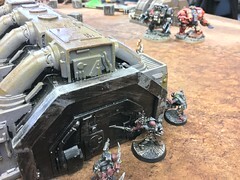 As we conclude this event we look forward to a new edition this summer, with an eye on updating Astronomi-con and looking to bring you new and exciting narrative battles in the 41st Millennium! Full results for Toronto can be found on the Results page. Lifted restrictions on Independent Characters joining units during deployment. The current GW Rulebook FAQ has addressed the most pressing issues and having additional restrictions seemed unnecessary. Added information on how the Death From The Skies supplement will be used at Astronomi-con. Added Captain Centos as an allowed special character. We are excited to announce that Astronomi-con will return to Toronto in 2017, on April 29th and 30th! We will once again return to the Best Western Plus Milton, the home of Astronomi-con Toronto for the past few years. Registration for our signature event is now open! Please visit the Registration Page to sign up. 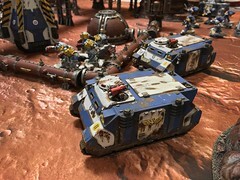 For those that had registered for The Imperium Besieged and have not yet asked for a refund, your registration fees have been transferred towards this event. We will be contacting everyone on this list to confirm their registration status. We look forward to putting on another great event for you all! 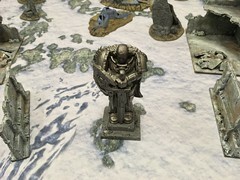 As part of The Imperium Besieged, players will be required to bring two objective markers which will be used in all of the scenarios. 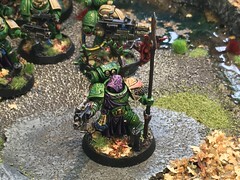 These objective markers should be on bases between 40mm and 60mm in size. Players are encouraged to create objectives which are thematic in nature and suit the army being played. 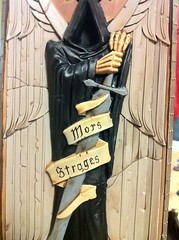 We hope to offer an award for Best Objectives at the event, which would be voted on by the players. The Impeium Besieged – Registration Now Open! Registration is now open for our upcoming event: The Imperium Besieged – A Narrative 40k Event. Full Toronto Results are now available, including placings for all players. Note that individual sportsmanship and theme scores have been cleared to ensure anonymity in these scores. Once again we’d like to thank everyone that attended and we look forward to coming back to Toronto later this year for a new event that we are working on. More details on that coming soon! Thanks to everyone that attended this year’s Astronomi-con Toronto event! 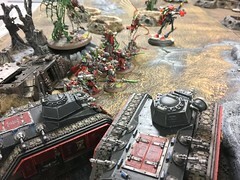 After a fantastic weekend of 40k battles and celebrating all that the hobby has to offer, with just shy of 300 man-games of 40k, we are pleased to announce that Best Overall was awarded to Jeff Brown and his White Scars Space Marine army! Also congratulations to Devin Swann for being awarded Best General. Special thanks to those that provided terrain and their time to help make this all possible. We truly appreciate it. Also a huge thank-you to Bill Kocher from Phoenix Games in Kitchener for his ongoing support of our events. We encourage you all to drop in and visit there. They’ve got a wide selection of GW products there to meet your hobby needs. Follow the link to visit the Results page! We have secured a room block with the Best Western Milton. Please reserve your room before April 15th to stay in the same hotel as the event. Check out the Accommodations page for all the info! Astronomi-con Toronto is now open! Visit the registration page here!